Houzz 21 of our visitors have told a friend about this plan. Family unity and tradition come together in this home. A generous great room provides the perfect setting for family movie night. Preparing meals will be a breeze, and serving them will be just as simple with the adjoining breakfast and dining rooms?both with bay windows. The master suite is nestled in the rear of this home on the main level. The upper floor offers beautiful balcony views of the great room and the foyer, as well as two more bedrooms and a media room option. Question: My husband also wanted to be sure that these plans were available to be built in Washington State. How would be be able to confirm that?? Answer: Good morning and thankyou for choosing our design! You may need local engineering or may have a more strict building code. Therefore the PDFs or cad files are recommended. We do sell many plans to WA state each year but the plan will most likely require local engineering. Wonderful plan by the way. If you have additional quest is feel free to ask! Question: How much additional space would I gain if I wanted to add a full basement? (Over everything but the garage)? Answer: Thanks for your interest in our plan! Answer: Thank you for your interest in our home plan design. The sq ft of the “optional” flex room is 148 sq ft and bonus space 306 sq ft both are NOT included in the total living space. Question: Can the basement be a daylight basement? Our lot has the appropriate slope. Also, can I see the basement layout? 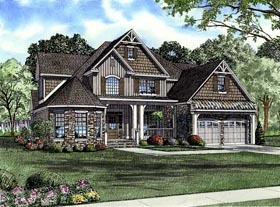 Thank you for your interest in our home plan designs. For this plan, we offer optional basement and walk out/daylight basement foundation. Because our home plans are sold nationwide to customers with different landscapes, we allow the customer/builder to determine the layout of the basement/ walkout – daylight basement to fit property. We provide the footprint of either basement option which is needed to construct the foundation of the home plan. Our basement foundations is under total heating and cooling space only and not under garages or porches. You may determine how much of that space will be utilize per your needs.